Export services are very crucial for businesses that thrive on supplying goods to other state or country. Their profits, company reputation and brand name indirectly depend on the export services. Hence, a reliable export service will definitely help the business flourish. Air and ocean are the two most common transportation modes known to man that have been in existence for a long time. Both of these modes have their own set of benefits. In order to make a choice between the mode of transports, you need to have a clear understanding of the type of goods you want to get exported. Let’s evaluate each one of them separately! 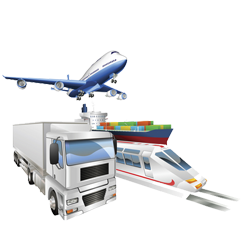 Air export services are usually used for the transportation of food supplies, machinery, medical paraphernalia, chemical components, motor vehicles, farm animals and other similar things. In case any of these things get damaged during the transportation, the air export company reimburses the exporters to reduce their loss. The cost factor goes a bit high with this type of transportation mode but given that it is one of the most reliable and fastest methods, the cost seems justifiable. Air export services have different provisions for heavy consignments. The cost consequently goes high with the increase in weight. As a business organization you need to make sure that your products are properly packed, marked and numbered according to the instructions provided by the export service providers. If you are exporting different types of products then in addition to labeling your boxes with their respective names, it is wise to keep a record of the list of products. Air export services are no doubt, one of the most reliable modes of transportation. It is fast, easy and less time consuming. Isn’t that what every business organization needs? Transportation of single commodity and high volume loads for example, grain, coal, ores etc. Gas or liquid cargo such as CNG, gasoline and bulk liquids. Depending on the nature and size of the shipment, ocean export services offer different attractive packages which are meant to protect the rights of the exporters and keep their goods safe. Cost will depend on the weight, size, volume of your products and the distance between the two ports. For business enterprises that believe in green technology, this is the most eco-friendly transportation mode available to them. It leaves almost zero carbon footprints unlike airplanes, which consume a lot of fuel. This can help business improve their brand image! Transportation of goods through ocean consumes more time as compared to transporting by air. So, if you need to export bulky goods with no time restrictions and in cost effective budget, then this export mode is suitable for you!